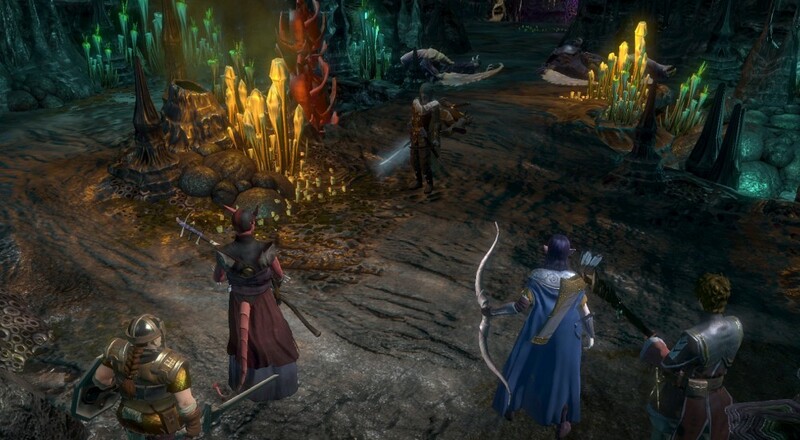 It was always the plan for Digital Extremes' D&D inspired RPG Sword Coast Legends to make its way to the consoles, and that date has finally arrived. Ok, it actually arrived last week, but we can celebrate it nonetheless. If you own a PlayStation 4 or Xbox One, you can now purchase and download the game. It includes all content from the recently released Rage of Demons DLC, which lets you team up with Drizzt Do'Urden for some adventures in the Underdark, as well as all of the other content that's been added up to this point, such as being able to play as a drow or tiefling. If you haven't been keeping tabs on this title as it was PC-only for a good while, the game offers a few different ways you can play cooperatively. First, there's a story campaign that lets you and up to three friends choose and customize your characters before setting off on adventures as members of the Order of the Burning Dawn guild. Once you're done there, you can bring a fifth friend in to act as the DM and setup/play through your own campaign set within the Forgotten Realms universe. The DM has the ability to create their own dungeons, NPC dialogue, monster placement/behavior, and more in order try and recreate the tabletop experience in a digital format. Sword Coast Legends is available via the PSN and Xbox Live stores for $19.99.